The grenadier divisions of each Infantry Regiment were formed into semi-permanent battalions for all except the 1805 campaign, where each regiment had its own Grenadiers. The companies were assembled retaining the original recruitment provenance, the Germans with the Germans, the Hungarians with the Hungarians. German companies wore white trousers, while those of the Hungarians were light blue. The 17 battalions with the Army of Germany formed four brigades (two divisions) and constituted the 2nd Reserve Corps, named also the "Grenadier's corps". They fought in the Marchfeld seizing, on May 22, again Esslingen, as well as during the second battle day of Wagram; by their firm approach and bravery they acquired general acknowledgment and the respect of the opponents. The standing four battalions with the Army of Italy, which later fought also at Raab, had only one (battalion Chimany) particular opportunity to distinguish during the battle at the Piave river (the battalion’s commander was awarded with the Maria Theresia Order medal – MTO award). Brigade Hammer: batallions Mayblümel, Oklopsia, Bissingen and Kirchenbetter. Brigade Merville: battalions Brzežińsky, Puteany, Scovaud and Scharlach. Brigade Murray: battalions Leiningen, Portner, Georgy and Wieniawsky. Brigade Steyerer: battalions Demontant, Hahn. Berger, Hohenlohe and Legrand. Two battalions commanders (Scovaud and Portner) were awarded with the MTO Cross. - Recruitment: districts of the Grenadier divisions of the regiments Reisky n. 13 and Simbschen n. 43 (Küsteland, Trieste, Istria and Krajna or Carniola). - before Aspern: Brig. Splényi, Div. Wolfskehl, IX Corps then Brig. Hager, Div. Wolfskehl, IX Corps. Note: Before the beginning of the campaign the command of the battalion was given (from Albeck ) to Chimany (see) . Commander: Major August Picot de Beccaduc Baron Herzogenberg (Beccadüc, Peccaduc) of IR 55 Reuss-Greitz. - Recruitment: districts of the Grenadier divisions of the regiments Wenzel Colloredo n. 56, Czartorysky n. 9, Reuss-Greitz n. 55 (Galicia, Poland and Silesia). - before Aspern: Brig. Rohan, I Reserve corps then with Liechtestein Reserve Corps. Commander: before Aspern Major Carl von Berger of IR 28 Frelich. - Recruitment: districts of the Grenadier divisions of the regiments Joseph Colloredo n. 57 - Frehlich n. 28 - Zach n. 15 (Moravia and Bohemia). - before Aspern: Brig. Steyrer, Div. Lindenau, Reserve Corps (reorganizing). - at Aspern: Brig. Steyrer, Div. Lindenau, Reserve Corps (Grenadiers Reserve). - at Wagram: Brig. Steyrer, Div. Prochaszka, Reserve Corps. Note: other sources told it remained under Nissel, (see after) In effect this battalion, employed during the retreat from Eckmühl battlefield in support and cover actions, was surrounded and almost completely taken prisoner. Major Berger had the task to reorganize it leading the unit to fight again at Wagram. Commander: Major Count Carl Bissingen of IR 50 Stain. - Recruitment: districts of the Grenadier divisions of the regiments: IR Beaulieu n. 58 - Erzherzog Karl n. 3 - Stain n. 50 (Poland, Silesia and Lower Austria). - before Aspern: Brig. Rohan, I Reserve Corps later Brig. Hammer, Div. D’Aspre, Reserve Corps (Grenadiers Reserve). - at Aspern: idem Div. D’Aspre, Reserve Corps (Grenadiers Reserve). - at Wagram: Brig. Hammer, Div. D’Aspre, Reserve Corps. - after Wagram: Brig. Hammer, Div. Prohaszka, Reserve Corps (Grenadiers Reserve). Commander: Major then Oberstlieutnant Joseph Bržeczińsky von Dunin of IR 30 De Ligne. - Recruitment: districts of the Grenadier divisions of the regiments: Kottulinsky n. 41 - De Ligne n. 30 - Strauch n. 24 (all Galician). - before Aspern: Brig. D’Aspre, II Reserve Corps later Brig. Drechsel, Div. D’Aspre, Reserve Corps (Grenadiers Reserve). - at Aspern: Brig. Merville, Div. D’Aspre, Reserve Corps (Grenadiers Reserve) then Brig. Scovaud, Div. D’Aspre, Reserve Corps (Grenadiers Reserve) – temporarily also Brig. Drechsel, Div. D’Aspre, Reserve Corps. - at Wagram: Brig. Merville, Div. D’Aspre, Reserve Corps (Grenadiers Reserve). Note: this battalion was heavy engaged during the first retreat, at Landshut and Ebelsberg. It distinguished at Aspern (Esslingen assault), Wagram and Znaim. - Recruitment districts of the Grenadier divisions of the regiments: Kaunitz n. 20 - Manfredini n. 12 - Würzburg n. 23 (Moravia and Silesia). - before Aspern: Brig. Rohan, I Reserve Corps. Note: fought at Ratisbon. Wrede referred it at Wagram still with the old name Cappy, but it was already Bn Oklopsia (se after). - Recruitment: districts of the Grenadier divisions of the regiments Reisky n. 13 - Simbschen n. 43 (Küsteland, Trieste, Istria and Krajna or Carniola). - before Wagram: Brig. Lutz, Div. Jellachich. Jellacich Reserve (Brig. Kleinmayer) at Raab. - at Wagram: Brig. Lutz, Div. Frimont. Note: it was the former battalion Albeck, who did not command in campaign. Commander: Oberstleutnant Ludwig Demontant of IR 7 Carl Schröder. - Recruitment: districts of the Grenadier divisions of the regiments Rohan n. 21 - Schröder n. 7 - Stuart n. 18 (Bohemia and Moravia). - before Aspern: Brig. Steyrer, Div. Lindenau, Reserve Corps. - at Wagram: Brig. Steyrer, Div. Prohaszka, Reserve Corps (Grenadiers Reserve). note: it was the former battalion Stark. Commander: Major Johann von Frisch of IR 47 Vogelsang. - Recruitment: districts of the Grenadier divisions of the regiments: Mittrowsky n. 10 - Rainer n. 11 - Vogelsang n. 47 (Bohemia and Moravia). - at Wagram: Brig. Murray, Div. Prohaszka, Reserve Corps . note: Frisch got the command at the time of the Znaym’s Armistice – it was the former Wieniowsky batt. Commander: Major August Georgy (Giorgy). - Recruitment: districts of the Grenadier divisions of the regiments: Erbach n. 42 - Kollowrath n. 36 - Reuss Plauen n. 17 (Bohemia). - before Aspern Brig. Rohan, I Reserve Corps later Brig. Murray, Div. Lindenau, Reserve Corps (Grenadiers Reserve). - at Aspern: Brig. Murray, Div. Lindenau, Reserve Corps (Grenadiers Reserve). - at Wagram: Brig. Murray, Div. Prohaszka, Reserve Corps (Grenadiers Reserve). - after Wagram: idem . Note: temporarily attached to the V Corps it fought at Hausen, Eckmühl and Regensburg (Ratisbon). Commander: Major Franz Hauger (also Hager, Hacker) of IR 40 Joseph Mittrowsky. Recruitment: districts of the Grenadier divisions of the regiments IR Bellegarde n. 44 - Chasteler n. 46 - Joseph Mittrowsky n. 40 (Galicia and Moravia). note: after Aspern under commander Portner (see after). Commander: Major-Oberstleutnant Gustav Prinz von Hohenlohe-Langenburg of the IR 1 Kaiser. - Recruitment: districts of the Grenadier divisions of the regiments: Kaiser n. 1 - Lindenau n. 29 - Württemberg n. 38 (Moravia and Silesia). note: after Aspern was under commander Hromada, (see following), while Wrede, [iii] in his 2nd volume, listed it again as Hohenlohe Bn, who, besides, was already the commander ot the IR Kaiser n. 1. Commander: Major Baron Joseph Hromada von Helenburg of IR 29 Lindenau. - Recruitment: districts of the Grenadier divisions of the regiments: Kaiser Franz n. 1 - Lindenau n. 29 - Württemberg n. 38 (Moravia and Silesia). note: till Aspern was under Commander: Hohenlohe-Langenburg, (see above). - Recruitment: districts of the Grenadier divisions of the regiments: Devaux n. 45 - Jordis n. 59 - Klebek n. 14 (Upper Austria and Salzburg). note: till Wagram it was Bn. Puteany. Commander: Major Carl Legrand of IR 9 Czartorisky. - Recruitment: districts of the Grenadier divisions of the regiments Wenzel Colloredo n. 56 - Czartorisky n. 9 - Reuss Greitz n. 55 (Galicia, Poland and Silesia). - before Aspern: Div. Rohan then with Reserve corps Liechtenstein; later Brig. Steyrer, Div. Lindenau, Reserve Corps (Grenadiers Reserve). note: before Aspern its commander was Beccaduc (see above) and fought at Hausen, Abensberg. Commander: Major Count August Leiningen-Westerburg of IR 54 Froon. - Recruitment: districts of the Grenadier divisions of the regiments: Argenteau n. 35 - Froon n. 54 - Zedtwitz n. 25 (Bohemia). - before Aspern: Brig. Rohan, I Reserve Corps. Formed the vanguard of the Division Ludwig Hohenlohe-Wartenburg-Bartenstein (Hohenzollern Corps) at Teugen-Hausen. Later Brig. Murray, Div. Lindenau, Reserve Corps. Note: temporarily attached to the V Corps, the battalion fought at Hausen and Regensburg (Ratisbon). - Recruitment: districts of the Grenadier divisions of the regiments: Gyulai n. 60 - Coburg n. 22 - Ludwig n. 8 (Moravia and Eastern Hungary). - at Wagram: Brig. Hammer, Div. D’Aspre, Reserve Corps (Grenadiers Reserve). - before Aspern: Div. Rohan, I Reserve Corps later Brig. Hammer, Div. D’Aspre, Reserve Corps (Grenadiers Reserve). - at Aspern Brig. Hammer, Div. D’Aspre, Reserve Corps (Grenadiers Reserve) also Brig. Scovaud, Div. D’Aspre, Reserve Corps (Grenadiers Reserve). Note: after Wagram was the Bn. Locher (see above). Initially its command was given to the IR 60 Gyulai Oberstleutnant Baron Joseph von Trenck, who, however, did never assumed its leadership. - before Aspern: Brig. Rohan, I Reserve Corps then Div. Rohan, I Reserve Corps. note: after Aspern it became the battalion Berger (see above). In effect this battalion, employed during the retreat from Eckmühl battlefield, in support and cover actions, was surrounded and almost completely taken prisoner. Major Berger had the task to reorganize it leading the unit to fight again at Wagram. - Recruitment: districts of the Grenadier divisions of the regiments: Kaunitz n. 20 - Manfredini n. 12 - Würzburg n. 23 (Moravia and Silesia). - at Aspern: Brig. Scovaud, Div. D’Aspre, Reserve Corps (Grenadiers Reserve) then Brig. Hammer, Div. D’Aspre, Reserve Corps (Grenadiers Reserve). Note: it was the former Bn. Cappy. Fought at Ratisbon, Aspern, Wagram and Znaim. - Recruitment: districts of the Grenadier divisions of the regiments: Bellegarde n. 44 - Chasteler n. 46 - Joseph Mittrowsky n. 40 (Galicia and Moravia). - before Aspern and at Aspern: Brig. Murray, Div. Lindenau, Reserve Corps (Grenadiers Reserve). - after Wagram: idem then Brig. Hammer, Div. Prohaszka, Reserve Corps. Note: it was the former Bn Hauger (see above). - Recruitment: districts of the Grenadier divisions of the regiments: Devaux n. 45 - Jordis n. 59 - Klebek n. 14 (Upper Austria Linz and Salzburg). - before Aspern: Brig. D’Aspre, II Reserve Corps. Part of the detachment of Zwischenbrücken (Lendbrücke bridges watch at Landshut). Later Brig. Merville, Div. D’Aspre, Reserve Corps (Grenadiers Reserve). - at Aspern: Brig. Merville Div. D’Aspre, Reserve Corps (Grenadiers Reserve) then Brig. Scovaud, Div. D’Aspre, Reserve Corps (Grenadiers Reserve) later Brig. Drechsel, Div. D’Aspre, Reserve Corps (Grenadiers Reserve). - at Wagram: Brig. Merville, Div. D’Aspre, Reserve Corps. - after Wagram: Brig. Merville, Div. 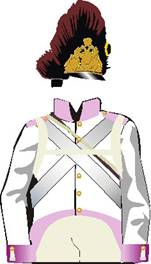 Prohaszka, Reserve Corps (Grenadiers Reserve). - Recruitment: districts of the Grenadier divisions of the regiments: Hohenlohe Bartenstein n. 26 - Lusignan n. 16 - Strassoldo n. 27 (Styria and Carinthia). - before Aspern: Brig. Hager, Div. Wolfskehl, IX Corps later Brig. Splényi, Div. Wolfskehl, IX Corps. - before Wagram: >Jellacich Reserve (Brig. Kleinmayer) at Raab. Commander: Major-Oberstleutnant Franz Friedrich Scovaud [iv] de la Bastide of IR 63 Baillet-Merlemont, awarded with MTO. - Recruitment: districts of the Grenadier divisions of the regiments: Hoch- und Deutschmeister n. 4 - Kerpen n. 49 – Baillet-Merlemont n. 63 (Vienna, Lower Austria and Galicia). before Aspern: Brig. D’Aspre, II Reserve Corps, later Brig. Merville, Div. D’Aspre, Reserve Corps (Grenadiers Reserve). - at Aspern Brig. Drechsel, Div. D’Aspre, Reserve Corps (Grenadiers Reserve) also Brig. Scovaud (interim), Div. D’Aspre, Reserve Corps (Grenadiers Reserve). - after Wagram: Brig. Merville, Div. 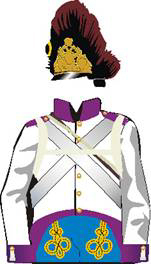 Prohaszka, Reserve Corps (Grenadiers Reserve) . Commander: Major Moritz Stark (Starck) of IR 7 Carl Schröder. - Recruitment: districts of the Grenadier divisions of the regiments: Rohan n. 21 - Schröder n. 7 - Stuart n. 18 (Bohemia and Moravia). - before Aspern: Brig. Rohan, I Reserve Corps or Div. Rohan, I Reserve Corps. Formed the vanguard of the Division Ludwig Hohenlohe-Wartenburg-Bartenstein (Hohenzollern Corps) at Teugen-Hausen. Temporarily attached to the V army Corps. note: Stark battalion had heavy losses at Hausen (Teugen) and Eckmühl when it was attached to the V Corps. Immediately before Aspern became the Bn. Demontant. - before Aspern: with the army of Inner Austria (Armee of Innerösterreich). - at Wagram: Brig. Lutz, Div. Frimont, Armée of Innerösterreich. Commander: Major, then, Oberstleutnant Count Ignaz Wieniawsky (pronounced Wisniowsky) of IR 11 Archduke Rainer. - Recruitment: districts of the Grenadier divisions of the regiment Anton Mittrowsky n. 10 - Rainer n. 11 - Vogelsang n. 47 (Bohemia and Moravia). - before Aspern: Brig. Rohan, I Reserve Corps also Div. Rohan, I Reserve Corps later Brig. Murray, Div. Lindenau, Reserve Corps (Grenadiers Reserve) . - at Wagram and after: idem. - Recruitment: districts of the Grenadier divisions of the regiments: Alvinczy n. 19 - Franz Karl n. 52 - Saint Julien n. 61 (central and southern Hungary, Banat). Note: it was the former batt. Janusch, (see after). It fought at the Pressburg bridgehead. - Recruitment: districts of the Grenadier divisions of the regiments: Duka n. 39 - Hiller n. 2 - Sztáray n. 33 (northeastern Hungary and Slovakia). - after Wagram: Brig. Steyrer, Div. Prohaszka, Reserve Corps (Grenadiers Reserve). Note: it was the former battalion Hahn (see after). - Recruitment: districts of the Grenadier divisions of the regiments: Duka n. 39 - Hiller n. 2 - Sztaray n. 33 (northeastern Hungary and Slovakia). - before Aspern: Brig. Rohan, I Reserve Corps then Div. Rohan, I Reserve Corps later Brig. Steyrer, Div. Lindenau, Reserve Corps (Grenadiers Reserve). - at Wagram: Brig Steyrer, Div. Prohaszka, Reserve Corps (Grenadiers Reserve). - Recruitment: districts of the Grenadier divisions of the regiments: Alvinczy n. 19 - Franz Karl n. 52 - St Julien n. 61 (central and southern Hungary, Banat). - before Wagram: Jellacich Reserve (Brig. Kleinmayer) then Div. Colloredo, Armée of Innerösterreich. - Recruitment: districts of the Grenadier divisions of the regiments: Davidovich n. 34 - Vukassovich n. 48 - Weidenfeld n. 37 (northern, eastern and southern Hungary). - before Aspern: Brig. D’Aspre, II Reserve Corps. Later: Brig. Hammer, Div. D’Aspre, Reserve Corps (Grenadiers Reserve). - at Aspern: Brig. Hammer, Div. D’Aspre, Reserve Corps (Grenadiers Reserve) and also Brig. Scovaud, Div. D’Aspre, Reserve Corps (Grenadiers Reserve). - Recruitment: districts of the Grenadier divisions of the regiments: Franz Jellachich n. 62 - Johann Jellachich n. 53 (Croatia and Banat). - before Aspern: Brig. Splényi, Div. Wolfskehl, IX Corps later: Brig. Hager, Div. Wolfkehl, IX Corps. - before Wagram: Armée of Innerösterreich, Jellacich Reserve (Brig. Kleinmayer) at Raab. Note: >after Wagram was the Bn. Zedtlar (see after), this Croatian and Grenzer elite battalion fought in Italy (Sacile and Piave) then at Raab. Sometimes related as Müller but it was a mistake. - Recruitment: districts of the Grenadier divisions of the regiments: Benjowsky n. 31 - Eszterházy n. 32 - Splényi n. 51 (Transylvania and Central Hungary). Note: Purcell got his command at Znaym, the former battalion was under Scharlach, (see after). - Recruitment: districts of the Grenadiers Div. reg. : Benjowsky n. 31 - Eszterházy n. 32 - Splényi n. 51 (Transylvania and Central Hungary). - before Aspern: Brig. D’Aspre, II Reserve Corps. Part of the detachment of Zwischenbrücken (Hospital’s bridge watch at Landshut). Later Brig. Merville, Div. D’Aspre, Reserve Corps (Grenadiers Reserve). - at Aspern: Brig. Merville, Div. D’Aspre, Reserve Corps (Gren. Res) maybe provisional Brig. Scovaud, Div. D’Aspre, Reserve Corps and also Brig. Drechsel, Div. D’Aspre, Reserve Corps (Grenadiers Reserve). later: fought the battles of Lanshut and Ebelsberg; after Znaim it became the battalion Purcell. - before Aspern: IX Korps, Armee of Innerösterreich. - before Wagram: IX Korps, Armée of Innerösterreich. Note: previously under Van der Mühlen, this Croatian and Grenzer elite battalion fought in Italy (Sacile and Piave) then at Raab. Large cities of the Empire formed also voluntary civic corps. Prague had its civic Grenadiers when Count Josef Wallis, on June 3, 1809, structured the city command or K.K. Stadthauptmannschaft, and organized two Grenadiers divisions with the former 14 companies of the civic Garde zu Füss. On July 13 the first Grenadiers company received the order to watch the historical old city’s Headquarters. The Prague Magistrate officially gave to the company its new flag with a silver rampant lion on a red field, the colours of Bohemia. The new Civic Grenadier Corps (K.K. privilegierte bürgerliche Grenadier Corps), from the former 14 companies of the civic corps afoot, formed one division of 2 companies in 1809, each with its Hauptmann. They had black coats, with sulphur yellow facings, gold buttons, blue breeches, the classic bearskin cap (Bärenmutzen), sabre with yellow-black scabbard. Officer wore golden axillary laces, NCOs had golden “epaulettes”, while Grenadiers wore one golden knot-pin at the left axle. The soldiers had common infantry equipments and weapons. From 1806 till 1807, also in Vienna, were organized three Grenadiers divisions by volunteers and formed in a city’s regiment: The 1st division had blue coats, the 2nd green and the 3rd grey. [i] Meynerth Hermann, Geschichte der österreichischen K.K. Armée, ihrer Heranbildung und Organisation, voll. 1-4, Gerold and Sons, Vienna, 1854. [ii] In Ziegler Andreas, „Das kaiserlich-königlich sechsundfünfzigste Linien-Infanterie Regiment“ , Vienna 1861, the author says the battalion entered the campaign directly under Major Legrand’s command. [iii] Wrede Alfons Freiherr von, Semek Anton, „Geschichte der K. und K. Wehrmacht: Die Regimenter, Corps, Branchen und Anstalten von 1618 bis Ende des XIX. Jahrhunderts“, 5 vol., Austro-Hungarian Monarchy, Kriegsarchiv Mittheilungen, L. W. Seidel, 1901. [iv] Franz Friedrich Baron Scovaud de la Bastide, future Generalmajor, was born at Avignon (France) on August 5, 1759 (died at Vienna on Christmas 1838), and was the son of the Maréchal de Camp Peter von Scovaud, who led him , in 1776, in the ranks of the IR 58 Beaulieu as Cadet. He was promoted Major-Oberstleutnant some days before Aspern, where he also obtained the Knight’s Cross of Maria Theresia (MTO). At Aspern Scovaud had orders to support battalion Scharlach (right) and Kirchenbetter (left) during their attack against the French positions at Esslingen. The “abatis” of that village, like the near cemetery, were heavily seized by the French, defending behind a wall, 15 feet high, and pierced with many loopholes; a very sturdy entrenchment. At the left of the cemetery were many French Guards battalions and a battery, supported by cavalry, which heavily harassed the advancing Scharlach battalion. The assault had to open the road to Enzersdorf and this was prpoerly the Scovaud’s battalion support task. Scovaud realized that a decisive attack in the enemy center position could make them retreating towards the bridges. He rallied 46 Grenadiers fron the Kirchenbetter’s battalion and with his remaining 160 men assaulted the French line. The attack was heavy, but Scovaud was caught by flanking fire (French Guards). Furthermore the brave Grenadiers were also objects of a terrible friendly fire, which made severe losses between the “bearskins”. Finally they had only the possibility to retreat back to their lines. [v] Müller Franz, “Die kaiserliche-königliche österreichische Armee seit Errichtung der stehende Kriegsheere bis auf die neueste Zeit.“ 2nd volume, Gottlieb Haase Söhne, Prague 1845.